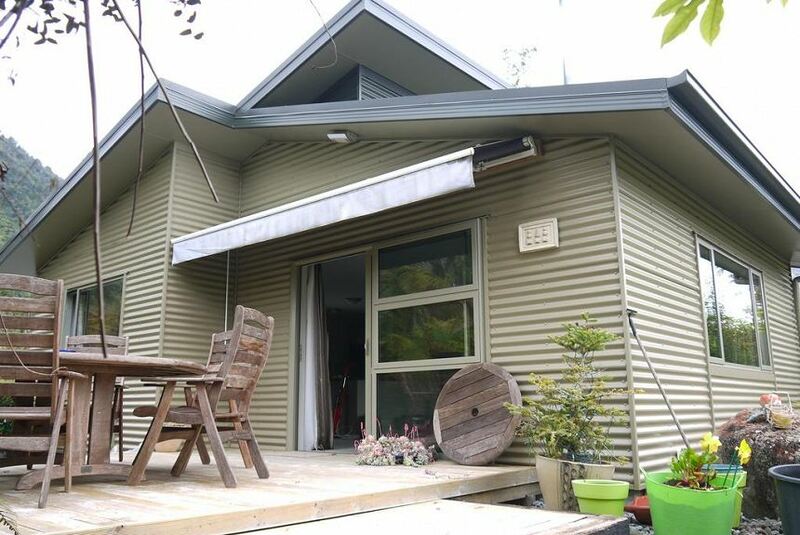 Situated in the heart of Franz Josef, this holiday home is 10 km from the Franz Josef Glacier, and is surrounded by native plants. Free WiFi is available. The house offers a full kitchen with an open-plan lounge containing a gas fireplace. The spacious lounge offers two couches and a separate dining area. There is one bathroom with a bath and shower and a separately accessed toilet. Attached to the house is a covered car park. Located at the back of a small 10-site campervan park, Franz Josef Treetops is set directly opposite the Glacier Hot Pools, less than a 1-minute walk from the nearest restaurant.